Ethics bait-and-switcher Stephan Lewandowsky and his sidekick, Klaus Oberauer, have added hide the decline to their repertoire at the University of Western Australia blog. As CA readers are well aware, the Briffa et al 2001 reconstruction, based on 387 tree ring density chronologies, goes down in the latter part of the 20th century – clearly contradicting the Mann reconstruction. The inconsistency between the two reconstructions ought to have troubled anyone with an actual scientific interest in the validity of these reconstructions. However, in order not to “dilute the message” in IPCC TAR, climate scientists chose to “hide the decline”, by simply deleting adverse data that went down. “Hiding the Decline” is the title of Andrew Montford’s forthcoming book. Replicable effects such as the conjunction fallacy are obviously not confined to cognitive science. In climate science, for example, the iconic “hockey stick” which shows that the current increase in global temperatures is unprecedented during the past several centuries if not millennia, has been replicated numerous times since Mann et al. published their seminal paper in 1998. (Briffa et al., 2001; Briffa et al., 2004; Cook et al. 2004; D’Arrigo et al., 2006; Esper et al., 2002; Hegerl et al., 2006; Huang et al., 2000; Juckes et al., 2007; Kaufman et al., 2009 ; Ljungqvist, 2010; Moberg et al., 2005; Oerlemans, 2005 ; Pollack & Smerdon, 2004; Rutherford et al., 2005; Smith et al., 2006). The idea that present temperatures are “unprecedented during the past several centuries” was definitely not original to the Mann hockey stick, as this view dated back to at least Hubert Lamb and could be said to be a consensus view. The missing millennial scale trends in existing TRW records as well as the increased cooling trend after removal of this proxy type from the Arctic-wide estimates both suggest that the widely cited hemispheric reconstructions underestimate pre-instrumental temperatures to some extent. This hypothesis seems to be important as most of the annually resolved, large-scale records are solely composed of or dominated (on longer timescales) by TRW data, and their spatial domain encompasses the Northern Hemisphere extratropics including northern boreal and Arctic environments. Inclusion of tree-ring data that lack millennial scale cooling trends, as revealed here (Fig. 3 and Supplementary Fig. S1), thus probably causes an underestimation of historic temperatures. As partial support for the concept of “social priming”, it seems to me that there is a statistically significant increase in the incidence of drivel in writings by activists after being primed with words that relate to “climate skeptics”. This hypothesis will be more difficult to test among authors where the incidence of drivel is already high, even without social priming. This entry was written by Stephen McIntyre, posted on Oct 14, 2012 at 1:42 PM, filed under Uncategorized and tagged lewandowsky. Bookmark the permalink. Follow any comments here with the RSS feed for this post. Both comments and trackbacks are currently closed. Ironically, it seems to me that perhaps the use of the iconic “hockey-stick” is a perfect example of both the concept and the effects of “social priming” in action! Back in 1996, John Bargh and his colleagues found that infusing people’s minds with the concept of age could slow their movements. Stephane Doyen from the Université Libre de Bruxelles has repeated [this] classic experiment in priming and shown that, in this case at least, it’s not the words that create the effect. It’s the experimenters’ expectations. Kahneman has critized social priming theory because quite a few experiments cannot be replicated and there has been serious fraud in this area, as committed (and admitted)recently by the Dutch Social Psychologist Diederik Stapel. What an irony that Lewandowsky is also active in this field. Has Professor Lewandowsky written on, as opposed to merely exemplifying, the concept of projection? … it seems to me that there is a statistically significant increase in the incidence of drivel in writings by activists after being primed with words that relate to “climate skeptics”. But nobody contributes as much to the experiment as the eponymous Professor. What selfless dedication to his own science. Uncontrolled laughter as you said. Social priming theory is not a theory at all but a branch of research supporting marketing and advertising. It is research into the art of deceiving people. Some of the researchers have taken this quite literally. Wow, Lewandowsky thinks that Jason Smerdon would be proud to consider his work a “replication” of Mann’s and Rutherford’s work? I don’t know for sure, but I have a suspicion that Jason would not describe his own work in that way, having published more than a few criticisms of Penn State Mann’s temperature reconstructions. Perhaps Lewandowsky is giving us a first hand demonstration of how dangerous it is weighing into a debate without actually familiarising yourself with the primary literature. contains an interesting detail relevant to the discussion of the change to his research proposal discussed here. In note 1, he defines misinformation as “any piece of information that is initially processed as valid but that is subsequently retracted or corrected”. On this definition, nothing said by Lewandowsky can ever be misinformation, since he never retracts anything. (Unless you put the accent on the “..or corrected”, in which case everything said by Lewandowsky is, by definition, misinformation). There’s a profound philosophical problem here, which deserves to be known as the Lewandowsky Paradox. I would define misinformation as info that is known to be false in some way by those putting it out, with the intent to deceive. Thus (big surprise) I disagree with Lew’s defn. The hiding of the decline (in all it’s forms) is a perfect example, where “the message” dictated the data massaging. I am unable to determine if upside down sediments are misinformation or not, but am inclined to the view that Mann’s understanding of “data” is so distorted (data being simply numbers in his view) that he is unable to understand why flipping a sediment series is invalid. I agree with you: Lewandowsky essentially made up his own definition of “misinformation,” without evidently even referring to its history of use. yours, on the other hand, does not ignore that history. Misinformation does not in any way require the purveyors of the incorrect information to ‘fess up’ or correct themselves. Corrections in almost all historical cases come from third parties, if any. Misinformation is put out with the intent to hide the facts and the assumption is made that the intended audience is too uninformed to know the difference. Lewandowsky seems to think his being an authority in his field allows him to be an authority in other fields as well, and that the intended audience is too uninformed to know the difference. As such, he himself is putting out misinformation, whether he is doing it intentionally or not. Since he uses Briffa 2001 as a source, either he himself is the uninformed or he is misinforming intentionally. The best parallel is Donald Rumsfled in 2003, assertion about WMDs prior to the Iraq invasion (which was in contravention of the UN Security Council’s decision not to allow the invasion). Rumsfeld incorrectly asserted that the WMDs were to the east, south, west and north of Tikrit, when it turned out that there were none at all – not east, north, west or south, or anywhere in Iraq, Was he honestly wrong? Or was the information created to serve the purpose of justifying the invasion? If the former, it was bad information; if the latter, it was misinformation. We may never know. But with the Lewandowsky issue the facts are the facts, and they are in the public domain. Assertions by him that the facts are wrong – that Briffa 2001 DOES agree with Mann’s reconstrution – only show that Lewndowsky (if he is serious, and all indications are that he is) can’t tell a real fact from misinformation. In this case, it IS misinformation, by Mann and the other “Team” players, because they knew of the divergence problem between the TRW data in Briffa 2001 and the Team’s other reconstructions, and then decided to hide the decline in the IPCC presentations. Kudos to you for your persistent insistence on bringing everyone’s attention back to this misinformation – intentional misinformation (and unadmitted) – time and time again. Please don’t ever stop until the world all recognizes it. 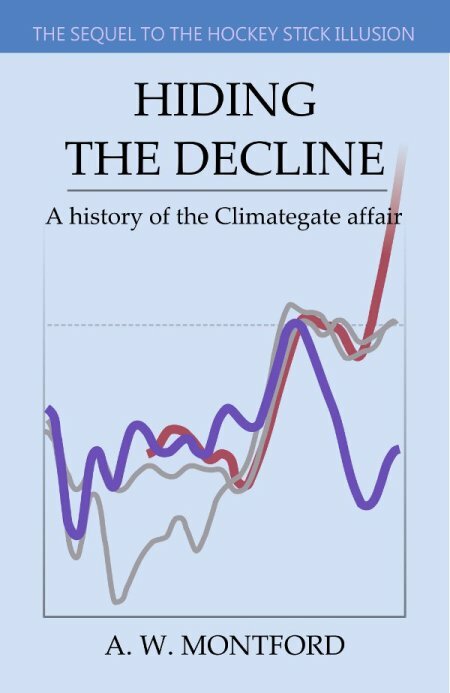 Climategate I woke up large numbers of people – including journalists and policymakers – to this, and the point should not be allowed to disappear. Keep on bringing it up! CL: ‘I would define misinformation as info that is known to be false in some way by those putting it out, with the intent to deceive.’ That’s how I would define disinformation. Misinformation can be spread innocently. That’s the way I’d define and distinguish them too. But in practice it’s not easy. Ask people in Liverpool today whether MacKenzie was ‘innocent’ and you’ll find one’s neat categories muddied further. Even so, the distinction remains vital for me. Another note: often a statement (which could be a view about policy, or about some aspect of science) is labeled misinformation merely because the writer does not like that view or statement. This strategy tries to force views about values into a frame of “facts” and what must be. So a small change in temperature can not be viewed as possibly beneficial–this is “misinformation”. Would not a “cherry-pick” be considered mis-infromation as well? Despite the information being “correct” as stated but the intent being to deceive. This type of deception is probably better treated as dis-information, as its validity is negated by the method of presentation. The point about Lewandowsky’s definition is that it’s logically incoherent. The information in his paper has not been retracted, therefore, according to the first criterion he put forward, it cannot be misinformation. But it has been corrected, so according to the second criterion, it must be misinformation. Lewandowsky really seems to believe that the truth of a proposition can be affected by what people think about it. He’s done this before, in a series of articles about estimates of climate sensitivity, which were discussed on James Annan’s blog. Annan seemed to agree with him that your certainty or uncertainty as to the true figure for climate sensitivity could affect the probability of a higher figure. This is madness. This used to be an interesting climate blog. Now its neither. Might just be, on reflection, repealed. I’m positively green with envy, like the leaves in the garden where the Great Pumpkin is awaited eagerly by the credulous. The thing that caught my eye was that L. feels that replication of his earlier work with a properly drawn sample, better measures (questions), better design would be … er … “replication”. Not surprised then that he regards Biffa (2001) as replication of Mann. “I read this as an acknowledgement that your previous study didn’t warrant replication because of its poor experimental design and one should do the sample properly, improve the measures and instruments, separate hypothesis formation and testing etc. Hope you’ll excuse the cross posting here, it is just my experience at L.’s blog that random bits will be cut by the mod. making it meaningless, citing “Inflammatory comments snipped”. HAS, glad you re-posted it here, because you have been entirely snipped at STW. I can’t bother to read at that place, but I looked over in curiosity to see if any of your comment had survived the “Attack of the Killer SkS-moderators”…..
Moderator Response: Intentional misquoting and strawman argumentation snipped. Bit hard to see the link between “Intentional misquoting and strawman argumentation” and what I wrote. Only quote is just that, and the only proposition refuted (i.e. potential straw man) is what that quote claims. There is no misquoting or straw man lurking here. If L. feels that the study did show prediction he should just front up and justify it. Of course I did place an interpretation upon the list of changes L. would make in “replication”, claiming that these were an acknowledgement by L. of weaknesses in the original study. Perhaps that’s the Mod.’s straw man (I doubt that L. would ever acknowledge any such thing). But it is hard to take that position seriously when L. says any subsequent study should completely change the sample frame, change the questions, as well as the scope of the attributes being measured. L. says “this next study should differ slightly” and then proposes a completely different study by way of replication. So not only does he not understand “replication” he doesn’t understand how experiential design and the results from an experiment are intimately intertwined. I’ve yet to ask why Gilles Gignac (co-author of L. et al who has the methodological experience)is no longer lining up behind this nonsense. I suspect it all represents a risk to the reputation of Genos (http://www.genosinternational.com/)who he is an ex-Director R&D of and current research advisor to. Again I’m aware that posting this by-play here is asking for something of an indulgence by our host, but in the end the Aussie taxpayer is funding this and it needs some public airing. Interesting distinctions between misinformation and disinformation. It is ironic that Lewandowsky presents misinformation (possibly not dis- as he isn’t a climate expert) in a paper about the psychological difficulty of correcting misinformation. I wouldn’t make much if his redefining “misinformation” for the purpose of his paper. I think it is a workable definition for this purpose, and his main points seem to be how easy it is to adhere to misinformation and how difficult it is to correct it. I think everyone on the climate debate would agree on this. “Priming” the lab participants with “old age” might just make them feel miserable because they’re reminded they’re going to get old and eventually be gone. Or reminding them that it’s Cheerleader Tuesday at the local drinking hole might arouse a more lively swagger. I expect more depth from science. SteveM: As partial support for the concept of “social priming”, it seems to me that there is a statistically significant increase in the incidence of drivel in writings by activists after being primed with words that relate to “climate skeptics”. This hypothesis will be more difficult to test among authors where the incidence of drivel is already high, even without social priming. Could an innovative approach to performing Principle Components Analysis be used to determine whether or not the local increase in psychoanalytical drivel occurring in Western Australia is now being spread across the entire continent of Australia, and thence outward to the Southern Hemisphere? I’m sure Steig has a way of doing what you suggest. Neither a subtle nor a social form of priming, but it gives a feel for the phenomenon. It isn’t crazy to think effects like this might exist for more attenuated cues, but obviously one would like decent methods to be used in establishing that. One problem with this discussion w.r.t. to the climate issue is that we seem to be mixing up priming and motivated reasoning, which are supposedly distinct phenomena. Maybe we are being primed here, but I would have used “could” instead of “would” (the “would” here clearly referring to “if I did the study”). But then, I would not be willing to torture data until it confesses to crimes it did not commit. Very good catch Matt. Would that Lew had used could. Please stop being obsessed by this “social scientist” Lewandowsky. You have written about nothing else this past month at least. It seems to me, he is a marginal, uniportant character and doesn’t deserve all this attention and the time you are wasting on him. There are much more important and interesting topics. What about an audit of the latest BEST papers ? I am a great admirer of this site, keep on the good work. You’re obviously not a great admirer if you happily use words like ‘obsessed’ of our host. (I would only ever use such radical correction in a private email. As it happens I’ve never felt the need.) It’s quite fine not to be an admirer, indeed it’s a vital part of human freedom. But I have developed this tendency to read phrases like “This is getting tedious” as “You are getting close to doing real harm here to those who choose deception. Please stop.” I assume no malice but that’s how this reads to me. 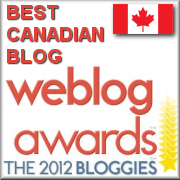 If you’ve followed this blog for any time, you would realize there is more to it that is unsaid. Steve seemed obsessed with a minor poster named TomP, but we later found out that TomP was assuredly a colleague of Gavin at NASA. I don’t know if he can be persuaded to turn his attention either toward problems in climate science or the research flailings of Lewandowsky et al, But the article does praise the critical work of Ioannidis and Simonsohn in dissecting bad research in bio-medicine and psychology, respectively. The experiment — and others like it — didn’t give Stapel the desired results, he said. He had the choice of abandoning the work or redoing the experiment. But he had already spent a lot of time on the research and was convinced his hypothesis was valid. “I said — you know what, I am going to create the data set,” he told me. Sitting at his kitchen table in Groningen, he began typing numbers into his laptop that would give him the outcome he wanted. Stapel’s fraud went undetected for so long because of “a general culture of careless, selective and uncritical handling of research and data.” If Stapel was solely to blame for making stuff up, the report stated, his peers, journal editors and reviewers of the field’s top journals were to blame for letting him get away with it. The committees identified several practices as “sloppy science” — misuse of statistics, ignoring of data that do not conform to a desired hypothesis and the pursuit of a compelling story no matter how scientifically unsupported it may be.